Filmteractive is an international event devoted to second screen and innovative audiovisual content, such as interactive films, branded content, and cross media. Filmteractive is an ideal meeting place where filmmakers, interactive directors, artists, marketers, and potential investors may network and exchange their professional know-how. 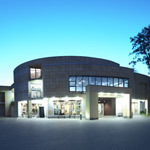 The most prestigious Film School in Europe is situated at Targowa Strett 61/63 in Lodz. This is the centre of film life in Lodz and in Poland. Among the best known graduates are: Andrzej Wajda and Roman Polanski. 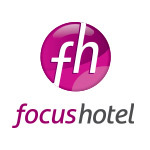 The very first in Poland DoubleTree by Hilton has been officially announced the partner hotel of Filmteractive 2013. It is located at the heart of Polish cinematographic history at Lakowa 29 (www.lakowa29.pl) and wonderfully combines the modern and the traditional face of Lodz. Located in the city center just off the main street Piotrowska.